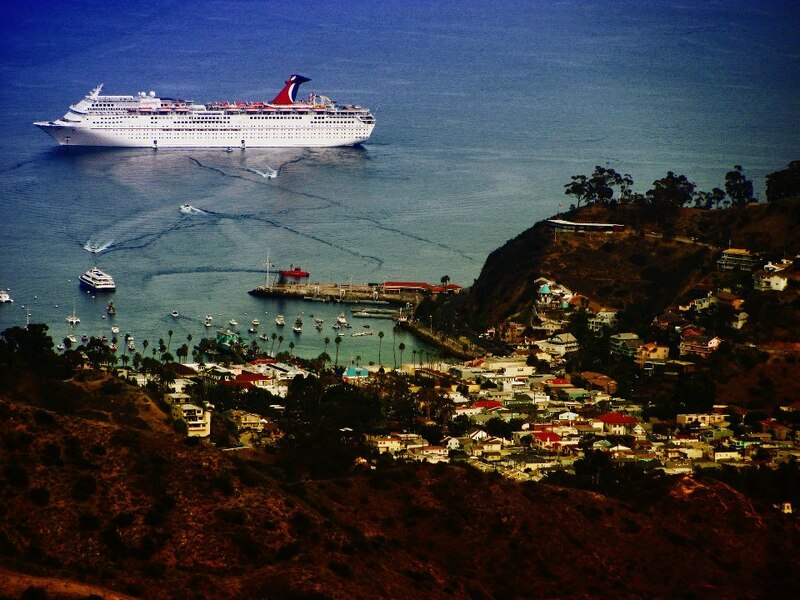 I took a day trip last week to Catalina Island for the first time. I had purchased a 2 for 1 Groupon for the Catalina Flyer which normally charges 69$ round-trip per person. The Catalina Flyer departs daily from Balboa Peninsula in Newport beach at exactly 9 am. They do not wait around for stragglers. The boat ride takes about an hour, most of which is on open ocean. It can get a little choppy on the water and the Flyer can really move. They provide barf bags for the guests on every table. The boat drops you off in the harbor in beautiful Avalon. The downtown area is filled with bars, restaurants and gift shops. The famous Avalon casino has been converted into a movie theater. Most people in Avalon rent golf carts to get around town, but we decided to hike around town and do some exploring in the mountains above Avalon instead. We headed through town and signed in for a free hiking permit in the Nature Center. Next, we took an 8$ tour of the Wrigley Botanic Garden. The trail to the top of the mountain starts at the far end of the botanical garden, so you're forced to pay the 8$ entrance fee, or hike the murderously steep trail in reverse through the Hermit Gulch campground instead. We opted to take the easier route through the garden. As the trail winds its way up the mountain, you're views of Avalon get better. From the peak at the East End Road, you get a panoramic view of Avalon, mountains and open ocean. From there, we headed North on the Divide Road for about a mile until we hit the trail junction to Hermit Gulch Campground and headed back down the mountain to Avalon. 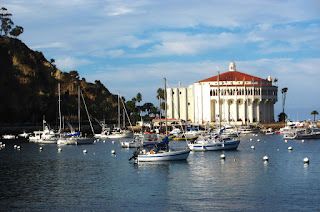 We ate some Mexican food, checked out the Casino, and then caught the boat back to Balboa Penninsula at 4:30 pm. The time I do Avalon, I want to plan a multi-day backpacking trip to the far North of the Island at Starlight Beach. It's about 60 miles round-trip.